I am John Allen, a building designer specializing in Custom Home design & the Remodeling of Existing Homes. I work in central Texas on projects of various sizes from small remodels to large custom homes. I am certified to work in all of the Austin area including the Sub-Chapter F “McMansion” area. A custom home design begins with the land and its unique properties. I seek to create a harmonious relationship between your home and the land on which your home is built. As the great Frank Lloyd Wright said, “No house should ever be on a hill or on anything. It should be of the hill. Belonging to it. Hill and house should live together each the happier for the other”. Certified as an Austin Energy Green Building Design Professional, I have designed homes that ranked as 5 star homes with the Austin Energy Green Building Design Program. As your home designer I will develop the design and the construction drawings for your house. I will help you hire any other professional you may also need like a structural engineer and I will help you choose the best builder for you. Albert Einstein said, “Imagination is more important than knowledge”. While it takes knowledge and skill to develop construction documents, it also takes a good imagination. Your home should be like you – unique and special. My goal is not to design a home pleasing to the masses, or, even to me. My goal is to create a home that is pleasing to you and reflects your personality, your desires, and your imagination. I love what I do. Design is inherently a problem solving endeavor and I am a natural problem solver. Interior Architecture & Design: Since 1979 Design and Color Development, Project Management, Space Planning, Construction Specification, Lighting, Custom Furnishing, Custom Window Coverings and Installation, Custom Floor Coverings and Installation, Furniture Selection, Re-upholstery, Restoration and Refinishing. LA-N-D is a full service contemporary architecture and design office based in Austin, Texas. As we see it, the built environment impacts the lives of too many people and uses too many resources to be built without careful planning and inspired design. With deep experience and a focus on contemporary residential design, we see an opportunity to create better more enjoyable buildings- from small renovations to new homes to a wider range of building types requiring thoughtful consideration and beautiful solutions. We focus on a careful analysis of the building site to be sure we harmonize both building and environment, whether it be an urban site responding to a complex interaction of existing buildings or set within a beautiful untouched landscape needing harmony and deference from the project. We strive to use natural materials, abundant sunlight, skilled craftsmanship and design to make the most of opportunities and resources. 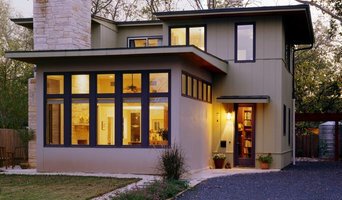 Atlantis Architects is a small full-service licensed architectural firm located at 4117 Guadalupe St., Austin Texas. Founded by Derek Barcinski. in 1989 to create hand crafted houses using local materials and earth friendly strategies for owners who cared deeply about their surroundings. Recent work includes single family homes, remodels and small commercial projects. 2017 inclusion on the American Institute of Architects Home Tour. A 1984 graduate of Rice University, Derek worked with Cambridge Seven, Moshe Safdie, Graham Gund and Paul Lamb prior to founding Atlantis Architects. Custom home design for individuals and spec homes/duplexes for builders. 3D rendering service available. Light commercial and remodels. Since 1983, Mike Brown has been self-employed, specializing in custom home design and small commercial projects. 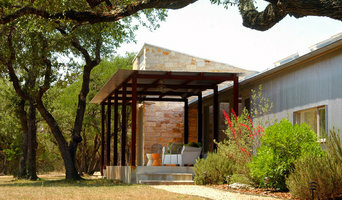 Andrew Hinman Architecture is an architecture and design studio based in Austin, Texas. Our approach to the design/construction process is hands-on, collaborative and personal. Our work includes residential, commercial, and community-use projects with particular experience in remodeling/adaptive reuse. The foundation of our design process is respect for the physical and cultural environment in which the project will exist. Each solution must respond to its context — the region, the climate, the natural environment, the community, the land, and sustainability. Ultimately, our work is a creative and practical reflection of our client’s vision expressed through design strategies, the latest problem-solving technology, an attention to craftsmanship and the resources available. Bartush Design is an award-winning Austin based residential architecture and design firm specializing in kitchen and bathroom design. Its principal, Rose Bartush, received a Masters degree in Architecture from Tulane University and began her career in New Orleans, LA, mastering the artful precision and balance of the traditional style. Relocating to Austin afforded her the opportunity to apply these grounded traditional disciplines to contemporary and transitional design, yielding a portfolio of artisan designs reflective of today’s lifestyle. I am dedicated to residential work - - my passion is designing custom remodels, additions and new homes. Bigger is not necessarily better in my book. Perfect clients for me are those who are equally concerned about the quality of their space as they are about the quantity. I am diligent in my efforts to make homes energy-efficient, affordable and comfortable. I support Austin Energy's Green Builder Program and seek clients interested in owning attractive, energy-wise, healthy, durable homes. 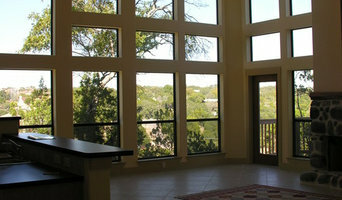 Ma-ken Design and Engineering provides full design services for residential and commercial projects in Austin, Texas. Services included architectural design and engineering for new construction, feasibility studies, and project management. Our Mission To create the spaces between the walls, above the floor and under the roof in order construct to your desired space. To consider your budget during the initial design phase in order to avoid unexpected cost overruns. To understand the existing code and permitting constraints so that plans are accepted and expectations are met. Nix Group Architects was formed in 1993 as a studio of specific architectural pursuits separate from those of Shefelman and Nix Architects. Nix Group Architects provides full services ranging from site planning to interiors. The firm actively seeks unique projects which require challenging problem solving solutions. 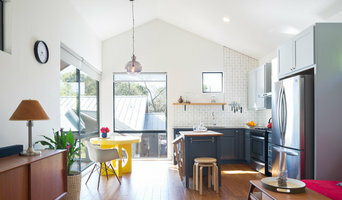 Many of the firm's projects, both residential and commercial, have dealt with extending the usable life of existing buildings through adaptive reuse and preservation. Nix Group Architects understands the complexities of designing in context with a structure's existing conditions, both apparent and hidden, and strives to remain flexible and responsive to newly discovered issues for the duration of the project. Aside from numerous renovation projects, we as well specialize in single and multi-family residential, low to medium cost and luxury. Our firm is a member of the Austin Green Building Program and is currently seeking clients wishing to incorporate green and sustainable design into their aspirations and budget.